Wife of Ghana’s Rap Doctor Okyeame Kwame has revealed she and her husband’s journey to being transparent begun with keeping each other’s phones. According to Annica Nsiah-Apau, before they got married, there were a lot of the perceptions and misconceptions of the rapper that they always addressed. “He also told me that he’s been in the relationship business for a while but he was older and new more than before,” she stated. Mrs. Nsiah-Apau is the personal, business and brands manager for the award-winning versatile rapper. 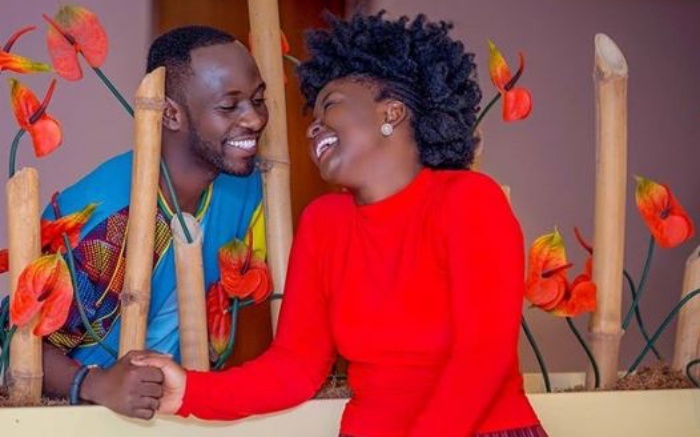 Sharing his journey with his wife Okyeame Kwame said, he felt Annica was the one for him and was not ready to do anything or have some ideas about him ruin it. “She used to be scared brought her into the journey because she used to be scared because I was a rapper,” he stated. Okyeame Kwame said, even though he was a young artiste in the music industry who had met lots of girls, he was ready to settle with his wife because “she was special”. Okyeame Kwame and Annica got married in 2009 have two children. The couple celebrated their 10th wedding anniversary on January 10. Over the years they have been admired for building and maintaining the relationship they have.